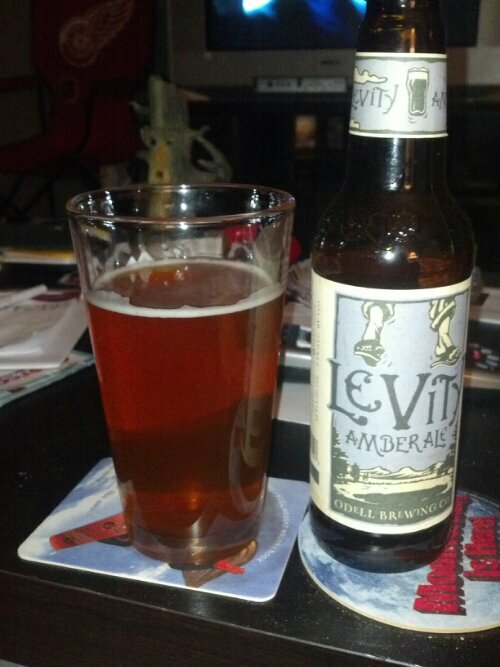 In this beer blog, we are going to get into another beer from Odell Brewing and the beer is called Levity Amber Ale. If you read my earlier beer blog on their beers, you know the history of this brewery. If you have not, please, read those beer blog post to get up to speed on this great Colorado brewery. Let us get into the beer. It has an amber color without a head on the beer. The smell is a sweet malty caramel to it. The taste is sweet malty without an aftertaste. It is a pretty drinkable beer. Levity is our lighter take on an amber ale — a real crowd pleaser. Munich and honey malts give it full-bodied flavor, bright copper color, and a relaxed taste profile. We let the finishing hops shine, for a beer that’s crisp instead of bitter. Levity was named by our brewers partly for its light color — and partly for the way it just refuses to take itself too seriously. We could all use a little levity once in a while. Levity is our lighter take on the amber ale. Munich and honey malts give it a full-bodied flavor and a happy-go-lucky personality. Then we let the finishing hops shine, for a beer that’s crisp instead of bitter. Levity was named by our brewers partly for its light color – and partly for the way it just refuses to take itself too seriously. Hey, we could all use a little levity once in a while.